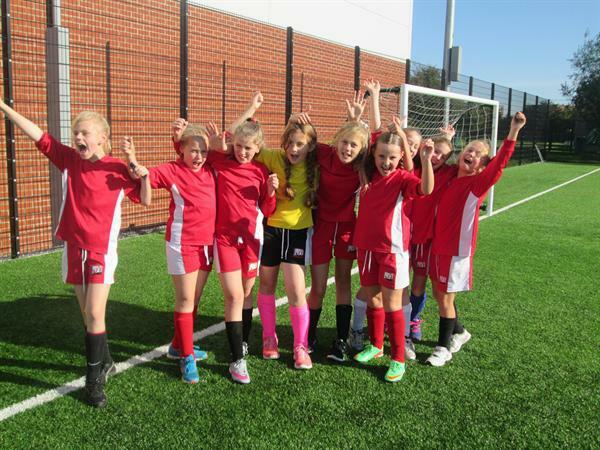 A huge well done to the Girls football team who reached the area finals yesterday evening. 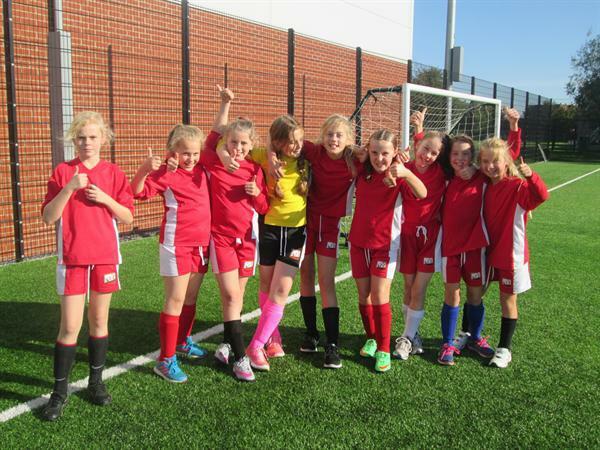 Competing against four other schools in Pool B, the Girls remained unbeaten and didn't even concede a goal, winning games against Somerset Bridge (1-0), Bridgwater College Academy (1-0) and drawing 0-0 against Berrow and North Newton. Sharp shooters Megan and Abbie scored the winning goals with Eva, Rhiannon and Kizzie offering a solid line of defence at the other end (all three girls timing their tackles to perfection)! The engines of the team Isabelle, Dorothy and Eleni dribbled regularly into the oppositions half, made some great tackles and never seemed to tire as they tracked back to support their defenders when they were needed. Kitty was a rock in goal, pulling of some great saves, including a penalty! 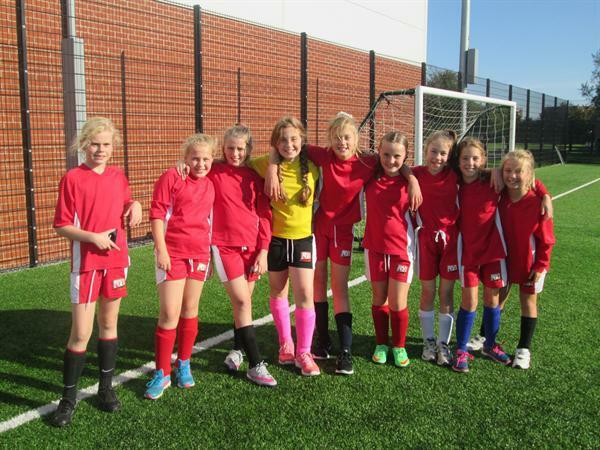 Great all round effort form an extremely hard working group of girls. We look forward to the finals on 16th November! Check out the latest pictures of this event in the School Gallery.